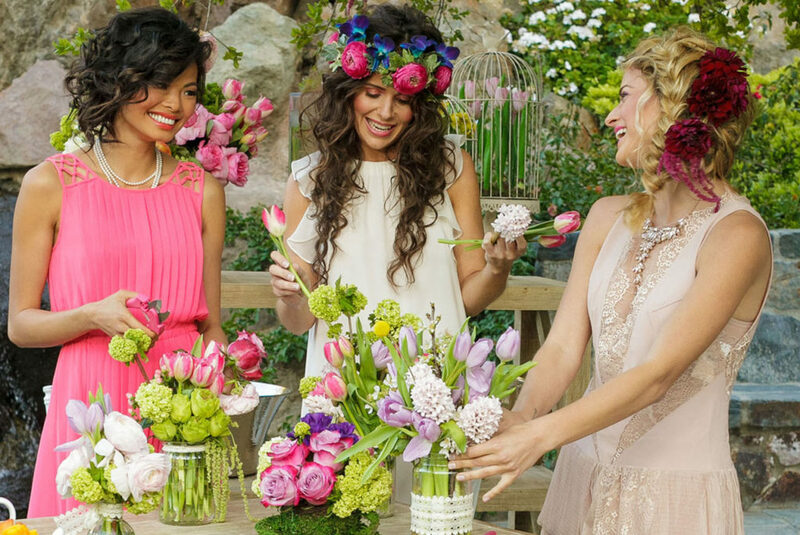 Available our Westlake Village Flower Bar, XO Bloom offers Flower Design classes that give you the opportunity to express yourself with high quality blooms and greens! We offer a wide variety of flower design classes to take advantage of. We have year round options with themed classes based on the season. For example, you can participate in our Winter White Flower Bar class, Easter flower design class, or Grads and Dads flower design class. This allows you to learn how to create bouquets for all seasons and situations. We will guide you through the process and teach you about flowers and floral care along the way. Flower Design classes start at $75 per person with selections of certain flowers and vessel costing extra. Learn the art of flower design with the guidance of a professional designer. The class schedule is below in the calendar, all the classes last 90 minutes and are presented at 10 AM, 12 PM and 2 PM. Reserve your seat with a $25 non-refundable deposit. Call us at (805) 230 -1010.